In response to the report “Loud whistle: Journalism is a powerful weapon and whistleblowers must be protected” – published on the portal pistaljka.rs on June 7, 2018 and republished by other media – Balkan Investigative Reporting Network hereby refutes a number of biased and inaccurate claims concerning a series of investigative reports on the international arms trade published by BIRN this year and last. According to the article, during a public panel debate entitled “Journalists and the government: Who controls whom?” the editor of the portal pistaljka.rs and president of the Serbian Association of Journalists, Vladimir Radomirovic, said that BIRN had written “about arming terrorists, but did not mention America’s involvement in this”. BIRN would like to point out that, more than once, it has published in-depth investigations into the arms trade involving Saudi Arabia and the United States. 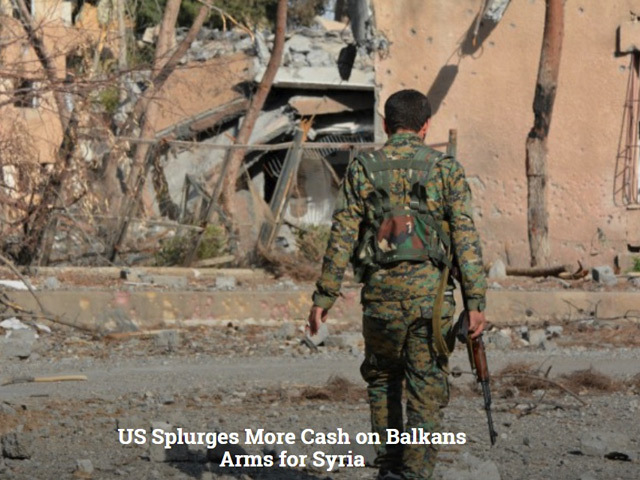 No fewer than seven of BIRN’s investigative stories have focused on the role of the US and US institutions in buying and selling arms for Syria. Based on BIRN’s investigations, prosecutors in Germany have opened an investigation into the role of Germany as an intermediary in such deals. Recently, Al Jazeera UK, together with BIRN, produced a documentary on the topic which featured, among other interviewees, Diljana Gajtandzijeva. BIRN’s team of reporters has won a number of regional and international awards for the above-mentioned investigative reports, including the prestigious Global Shining Light Citation of Excellence awarded by the Global Investigative Journalism Network, GIJN, in 2017.